SQL Accelerator is the key component of Kourier Integrator that provides for fast, seamless and scalable integration between UniData/UniVerse (U2) plus other external data sources and Microsoft's SQL Server database. SQL Accelerator is ideal for building data warehouses and business intelligence solutions from your U2 database and other data sources (e.g., operational data stores, data marts, decision support systems). 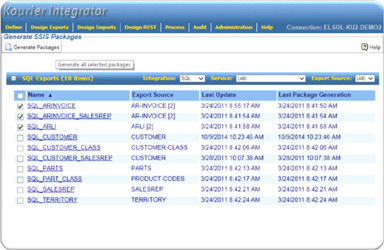 SQL Accelerator can also be used for data integration with other Microsoft SQL Server applications. For example, it's very easy to load data used by a SQL-based CRM system with data extracted from a U2 database or another system. Once the data is in SQL Server, you can take advantage of the powerful tools available (such as Rocket Software's CorVu NG and SQL Server Reporting Services (SSRS) for creating reports for decision support systems or creating rich graphical content for executive dashboards. By eliminating the manual creation and manipulation of SSIS packages, SQL Accelerator makes SQL Server-based capabilities a practical enhancement to your enterprise application environment. 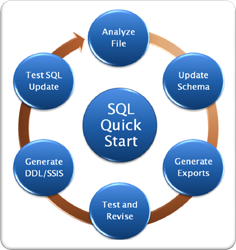 SQL Accelerator saves you time and effort because it automatically generates the SQL Server Integration Services (SSIS) packages that enable the seamless integration between disparate databases and Microsoft SQL Server databases. 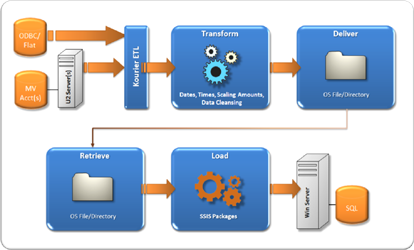 The maintenance-free packages follow Microsoft's best practices, are efficient and include everything to update the SQL Server database which includes: automatically mapping source file (table) fields (columns) to SQL Server columns, insert-update-delete logic, managing database rule validation and exception handling, sending email notifications, and more. To be the most effective, your enterprise data warehouse or integrated solution must have the most accurate and up-to-date information that is available. SQL Accelerator provides near real-time SQL Server database updates using Kourier Integrator's and SQL Accelerator's "Net Change" technology and scheduling agents. You decide how frequently your data is updated and Kourier monitors changes to the source database, then optimizes SQL Server database updates via SSIS with only the data that has changed since the last update. This provides high performance and scalability with guaranteed data delivery. SQL Accelerator has advanced features to support integration and enterprise data warehousing requirements. SQL Accelerator is an optional component for Kourier Integrator and supports Microsoft SQL Server databases (2005, 2008, 2008 R2, 2012, 2014, 2016 and 2017). 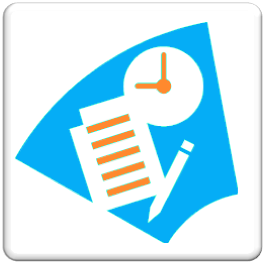 Currently supported non-U2 data sources include: Oracle, MySQL, Microsoft Access, Microsoft SQL Server, Apache Derby, PostgreSQL, Microsoft Excel and text files. Kourier Integrator and SQL Accelerator have been used to implement Microsoft SQL Server data warehouse, business intelligence and other integrated solutions for Clients using homegrown, bespoke, and commercial U2 applications such as Ellucian Colleague, Epicor DataFlo, Epicor Eclipse, Epicor Prelude, IDS Astra and many others. Pre-defined Operational Data Stores (ODS) are also available for many of these systems. The solution pricing includes all the software and services needed for a complete solution, and we'll even help you with your first project. Note that Kourier Integrator solutions are installed on your U2 application server and Web server and must meet certain minimum requirements, call Kore for details.